Amazing Location, walking distance to LRT (Fish Creek- Lacombe)! 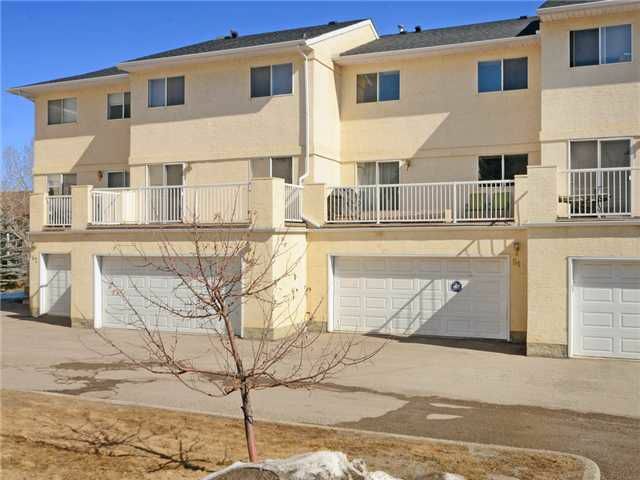 3 bedroom / 3 bathroom unit complete with DOUBLE ATTACHED garage & ample storage & guest parking. This unit has a great open floor plan with tons of natural light flow throughout. The main floor living room features a corner gas fireplace, 12.5' vaulted ceilings, large windows & is wired with 5.1 surround sound. Enjoy creating and entertaining in the large kitchen & dining room level that opens up onto the sunny WEST facing balcony with sq.ft. garden. Retreat upstairs to the Master Suite that includes a full en-suite bath & large walk-in closet. Two additional bedrooms, 4-pc bath & laundry complete the top floor. Everything you need is close by: LRT, Transit, Fish Creek Provincial Park, Schools, Shopping, Movie theater, etc.. Low condo fees include cable TV (about $70 value).